Well, what a tremendous start we and our client Bioglitter had to 2019! Fresh off packing away the festive decorations, the Bioglitter team had a welcome surprise drop through their letterbox. Upon opening the letter, it was with great delight they received an official acknowledgement from none other than Sir David Attenborough! And KRPR played a key part in that! For those of you that don’t know, Bioglitter is an eco-friendly alternative to traditional plastic based glitter. It has been developed to tackle the part of microplastic pollution caused by traditional glitter. December saw us send special Bioglitter Christmas packs to a number of key environmentalists with the aim to really get their buy in and help spread the word about Bioglitter with international influencers. The strategy has really paid off and to receive a letter of support from one of the most influential environmentalists of all time is an incredible result. 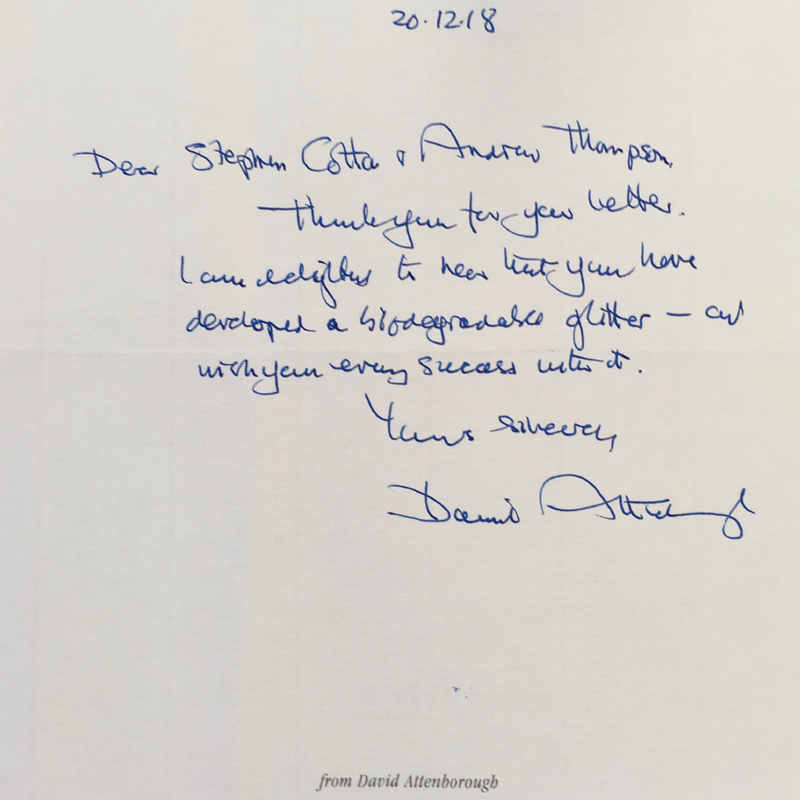 Gaining the support of key people like Sir David Attenborough is key for Bioglitter, and will help the brand raise awareness of the product and be a major door opener with national and international brands and retailers. It’s a truly excellent start to the year and we really cannot wait to see what the future has in store for one of the UK’s most ground breaking products, Bioglitter!